Thanks to all who entered the 'Lighthouse loop' this year. Here are the results. Lifeboat week 2018 is done! What a week it was too! Wow what a week that was! Lifeboat week is done for another year. Thank you to everyone who attended, helped or organised one of our events. 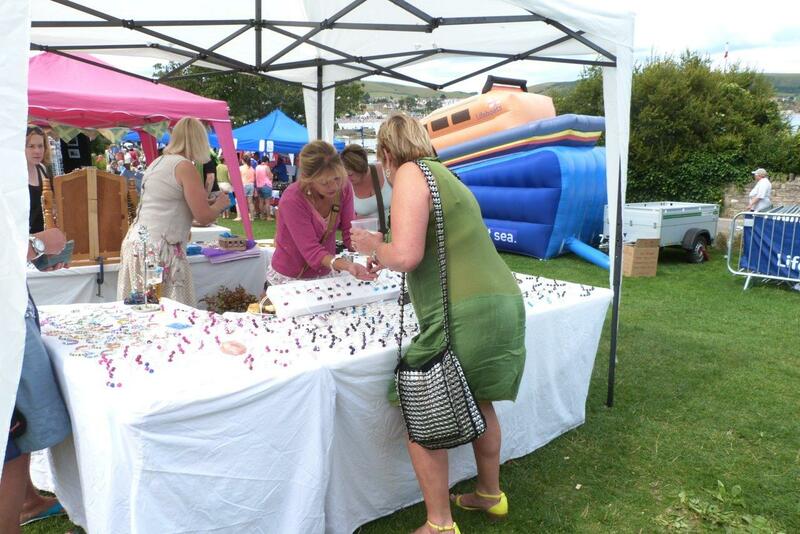 We had a great weekend at Prince Albert Gardens and a great turn out to our open day at the lifeboat station. 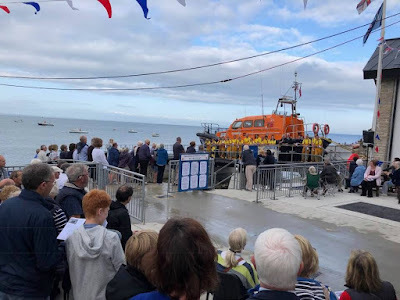 Thanks to those who came along to our service at the lifeboat station too, the final event of the week. If you've got any pictures we'd love to see them, get in touch via our website, Facebook, Twitter or Instagram pages (links on the right). We'll make an album and share it in the coming weeks. Dates for next year are 9 to 18 August 2019. Friday 17th August our fundraisers will be out in Swanage for our annual flag day street collection. If you see them please stop and pop your spare change in their collection box. If you're really lucky you might even catch a glimpse of the RNLI's mascot, 'Stormy Stan'. Stormy will be out with his collection bucket too sometime in the afternoon. Then don't forget its live music, bar and BBQ at Prince Albert Gardens by the entrance to the pier 6pm - 11pm. We've got live music from 2 great local bands including headliners 'Ratrace'. Could you sponsor a barrel of beer for our lifeboat week bar? With the start of Lifeboat Week 2018 approaching fast we're still looking for a few more generous local businesses to sponsor a barrel of beer for our bar. 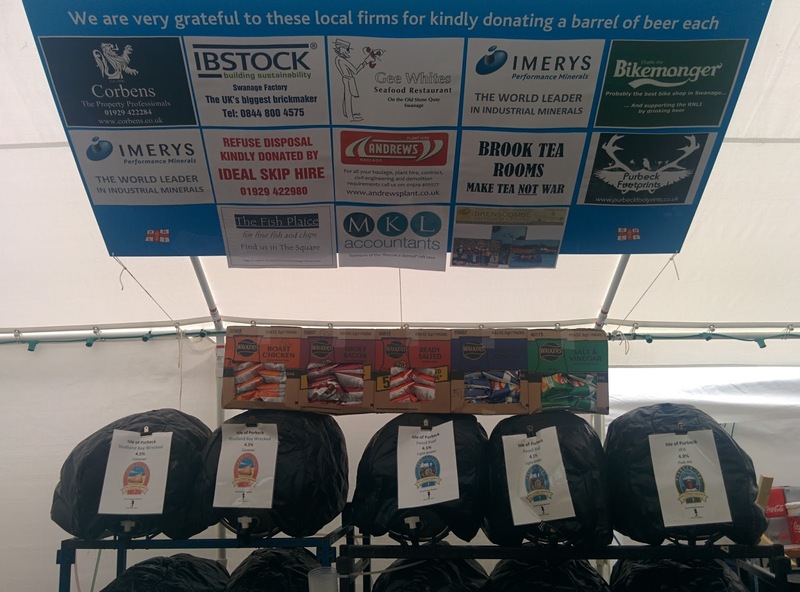 By sponsoring a barrel it means that even more of the money we raise can go towards running the lifeboats here at Swanage. In return we'll give you an A3 poster behind our bar and a receipt to keep your accountant happy! If you'd like to contribute then please phone the lifeboat station on 01929 423237. 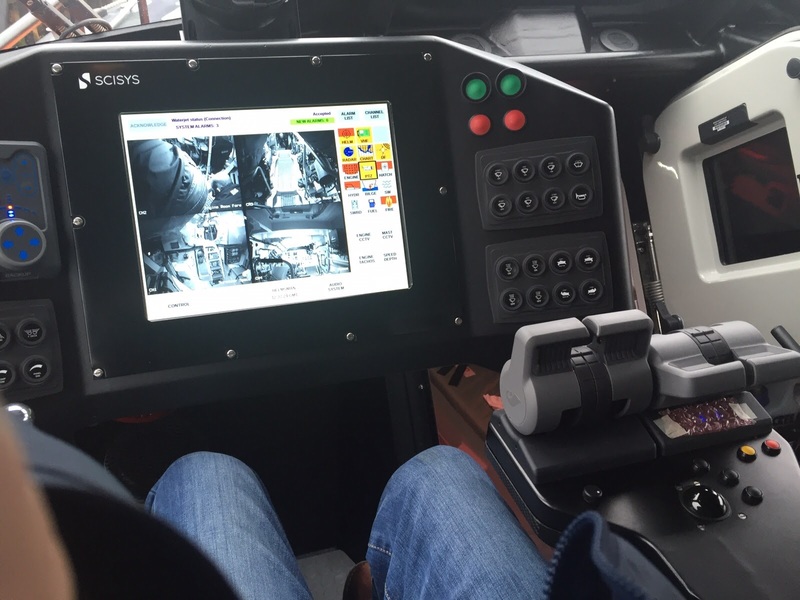 If you've ever fancied having a personal tour onboard our all-weather lifeboat then our VIP tours are for you. 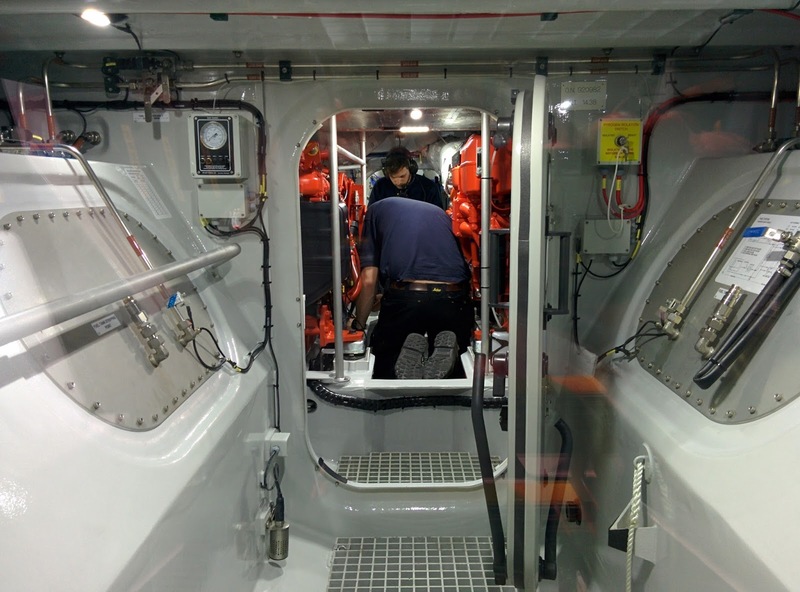 Numbers are strictly limited so that you get the chance to have a good look round both our lifeboats, the new boathouse and ask the crew any questions that you have. The evening starts at 7pm and usually finishes around 9pm when we'll serve up some drinks and canapes. Tickets are £10 and are limited to 24 people. The evening is aimed at adults and older children as some of the questions can get a bit technical at times! If you'd like to come along give the Boathouse a call on 01929 423237. Lifeboat week 2018 continues, tonight we have the Rain or Shine theatre company performing William Shakespeare's 'Much Ado About Nothing' at Prince Albert Gardens, by the pier. The show starts at 7pm but the gates will be open from 5.45pm for picnics etc. Please bring something warm and your own seating. There will be a bar, tea, coffee & hot chocolate too. Tickets are available in advance for a slightly reduced rate from The lifeboat shop, Corbens estate agents and the Tourist Information Centre on the seafront. We look forward to seeing you later for what's set to be a great evening. Well it certainly was lovely weather for ducks! Thanks to everyone who took part and braved the weather to watch the race. We really do appreciate your support! What a great start to lifeboat week 2018. Both our golf day and the outdoor cinema have been a great success. Thank you to all of you who attended. Today our volunteers are out selling racing ducks in preparation for tomorrow's duck race. You'll find them on the seafront and outside the post office. 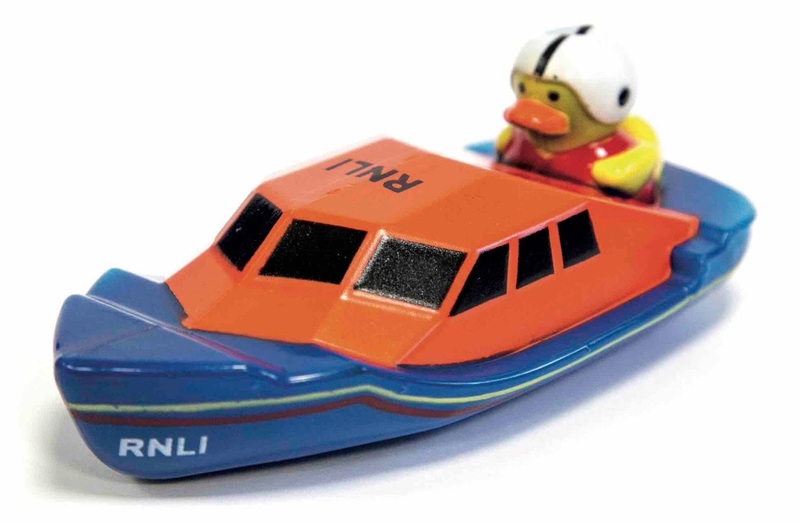 Ducks are £2 each and you could win one of 3 cash prizes tomorrow. We're delighted to be able to announce a new event for lifeboat week 2018. In a first for Swanage we will be showing 'The Greatest Showman' at Prince Albert Gardens (by the pier) on Friday 10th August at 8.45pm. Would you like a stall pitch on Sat 18 Aug at our fair? We have a few stall pitches left for the lifeboat week fair at PAG (Prince Albert Gardens) on Sat 18th August 2018 11am - 5pm. 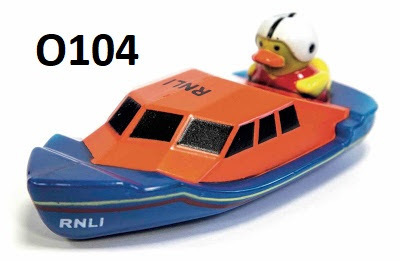 A donation to lifeboat week is asked for in lieu of pitch fee. Please email Jane at chair@slbf.org.uk by Friday 20th July 2018 for more details or to book. You will need public liability insurance and an up to date risk assessment. 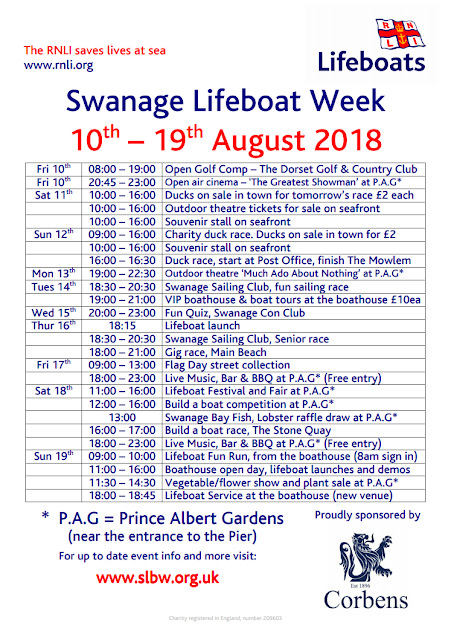 Lifeboat week 2018 starts in 4 weeks time on Friday 10th August and runs through to Sunday the 19th. Here's the events list for the week. A PDF version can be downloaded [ HERE ]. There are also flyers in the TIC, Corbens, The Lifeboat Shop and other places too. We've got a couple of new events which we'll tell you a bit more about in the next few days. We're really excited about the week and look forward to seeing you at one or more of the events.